After being rejected as a child by the people of his village, Naruto Uzumaki is on a quest to become the greatest ninja warrior. Acting as host for Kurama, the Nine-Tailed beast, Naruto’s story follows the adventures that lead him to become a powerful ninja and a master of the demon within him. Over 72 volumes and a combined 720 episodes alongside 16 million fans! Naruto Uzumaki comes to life with this replica coin bank by ABYstyle. 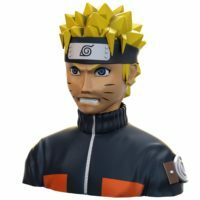 Made from durable PVC, this bust figure features the likeness of Naruto and serves as a bank for storing your spare change. Ideal for the home or office, this coin bank will keep your savings safe, believe it! 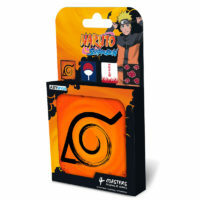 From the Leaf Village symbol to the Akatsuki emblem, fans of Naruto Shippuden will instantly recognize the images on this 4-piece coaster set by ABYstyle. Made with cork backings, they will keep your surfaces dry and stain free! Keep the elements at bay with this Naruto-themed umbrella by ABYstyle. 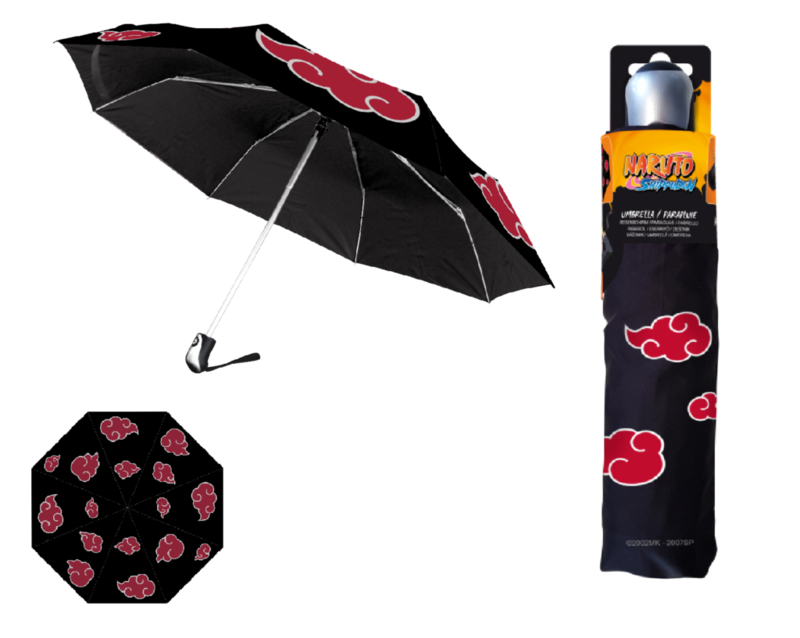 This semi-automatic umbrella opens with the push of a button and features an Akatsuki print on both the umbrella and its convenient carrying case.